How do I get more traffic to my website? How do I sell online? How do I send emailers to my clients? How do I edit my own website? How do I market my website? How do I use social marketing? We developed a Flash based platform game that could be easily edited using xml. 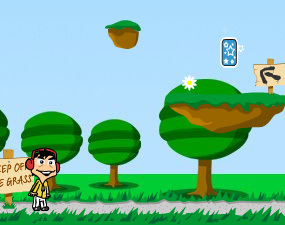 A fun Flash platform game. Ichicoo Design, 6 Gawthorpe Avenue, Bingley, West Yorkshire, BD16 4DG.